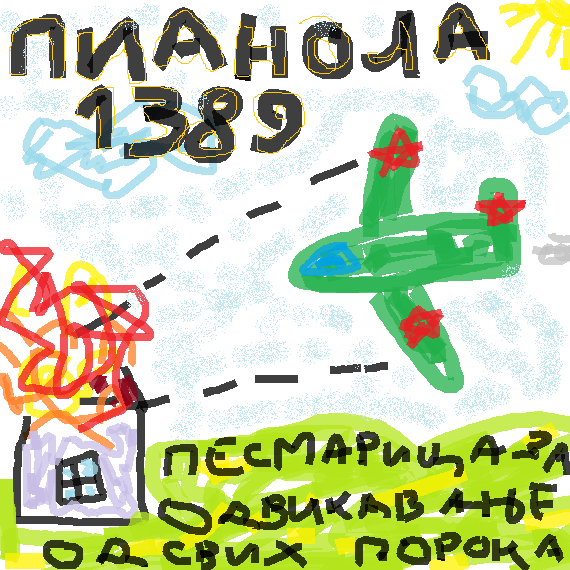 Pianola 1389 is a serbian Nu Jazz, easy listening, avant-guarde side project from Milan Đurić, who is best known for be the guy behind Shazalakazoo, or his most famous nickname Neki Stranac. One of the highlights of the album can be this track, in which you’ll feel the whole vibe of the album. This album represents a lot for Milan, himself, as he wants people to take a look on his work different than Neki, and at the same time bringing a positive vibe about Serbian Jazz and music. The album’s name is in Serbian. The names are in Serbian, but the name of the project is PIANOLA 1389, and translation of the album could be “A Songbook for quitting of all vices”. Set as FREE DOWNLOAD… and just mere 65 MB! !